About to set off on your first long ride? Long rides are one of the true joys of cycling, but it’s important to take your time before throwing yourself into the deep end. 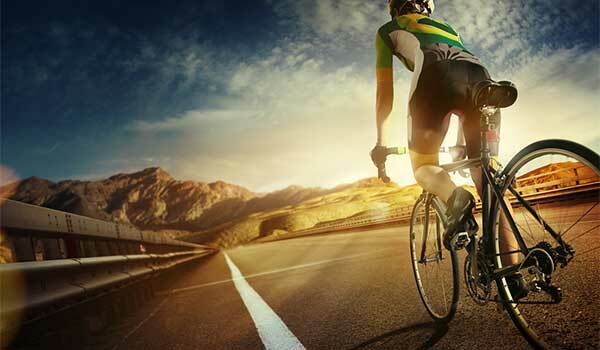 To help you feel more prepared, we’ve put together the ultimate guide to handling long bike rides, whether for training or recreation, so you can relax and enjoy the ride! Before committing to your first long bike ride, make sure you’ve built up to it gradually. You’ll want to build your strength and endurance by working up to longer, more intense rides over time. These items can get you out of a tough situation on a long day ride, so they are well worth taking. It’s imperative that you keep properly hydrated during a long day of cycling. Consider how many hours you’ll be riding for and plan to drink about one bottle per hour – more if it’s a hot day or the ride is particularly challenging. After 2 hours of riding, stop and refill your water bottle. As well as staying hydrated, it’s important to keep up your energy and blood sugar levels by refuelling your body with small, consistent amounts of food. Take a bite or 2 to eat every 15-30 minutes throughout your ride and stop for a proper snack after riding for 2 hours, when you refill your water bottle. Doing some basic stretches throughout a long ride can make a big difference to your day. Here’s some you can do quite safely while still cycling. Before setting out on a long ride, make sure your bike has been professionally fitted. This is a key element of successfully handling long cycling sessions and will optimise your riding. Bikefit is the process of professionally fitting a bicycle to its rider, ensuring ideal positioning that maximises each rider’s athletic input while minimising impact on vulnerable parts of the body. Perth’s Star Physio team can complete a professional Bikefit for you, getting you ready to ride longer, better and pain-free. Star Physio is a physiotherapy clinic in West Perth with a special interest in sporting injuries and Bikefit. Call your nearest clinic or fill out our quick online form to start preparing for your long ride.